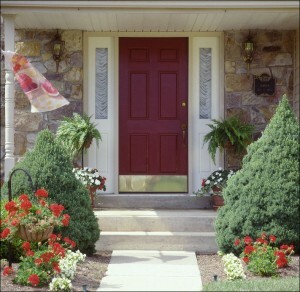 Changing the look of your home on the outside is a big decision, but it doesn’t have to be a difficult one. Debbie Zimmer, color expert at the Paint Quality Institute, gives us her five top tips for choosing the best exterior paint color for your home. 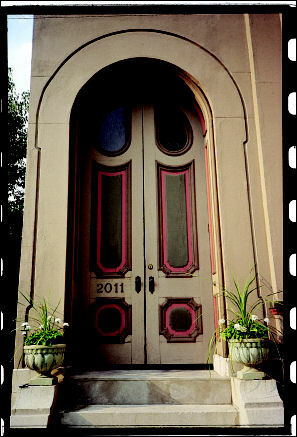 “Some styles of architecture look best in a particular color, while others welcome an imaginative color choice. For example, a Greek Revival home virtually demands a white exterior, while Victorian homes, with all their fretwork and gingerbread, can be painted in a rainbow of colors,” says Zimmer. Likewise, owners of historical homes or those that mimic them may want to choose colors from a traditional, historically-accurate color palette, while those who live in contemporary-style homes have more freedom in choosing a color scheme. The natural surroundings of a home can be a great source of inspiration for color ideas. Houses looks best when its color scheme harmonizes with the environment. “Homes in a beach setting look great in oceanic colors like blue, blue-green, coral and turquoise, while those in the desert look very attractive when painted in the natural palette of that landscape – dusty gold, terra cotta, muted red, and olive,” she says. If your home is located in a tree-dotted landscape, think in terms of your local earthy hues – paint colors in the green and brown families are especially appropriate. Another important consideration involves the “fixed” colors that are already present on a home. Brick and stone have colors, as do roofing shingles. It’s important to select a paint scheme that is compatible with these existing architectural elements. When selecting a color scheme, walk down your street and take notes on the colors used on nearby homes. Then visit your local paint store and try to find color cards that match what you’ve seen on your neighbors’ homes. Line them up in the order of the homes on your street, leaving a gap for your home. Then see how different paint colors would look on your home in relation to your neighbors. Before purchasing the paint, make sure the color scheme you’ve selected doesn’t run afoul of any local color restrictions. “Designers of townhouse communities and condominium complexes have long recognized the importance of house-to-house color compatibility, and many of them have strict rules concerning the colors you can paint your home,” says Zimmer.